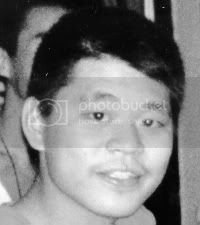 Koji Shiraishi was last seen at Darlinghurst, Sydney on 29 August 1995. He was employed as a chef at the time of his disappearance. Koji returned to Australia on 28 August 1995 after a 2 week holiday in Japan. He was meant to start work on 1 September 1995 at the Yakuta Japanese Restaurant in Surrey Hills, NSW. He never arrived for work. Reported missing to: Surry Hills Police Station.